I know most people are over it when it comes to texture polishes, BUT NOT ME!!! I love them so hard!!! 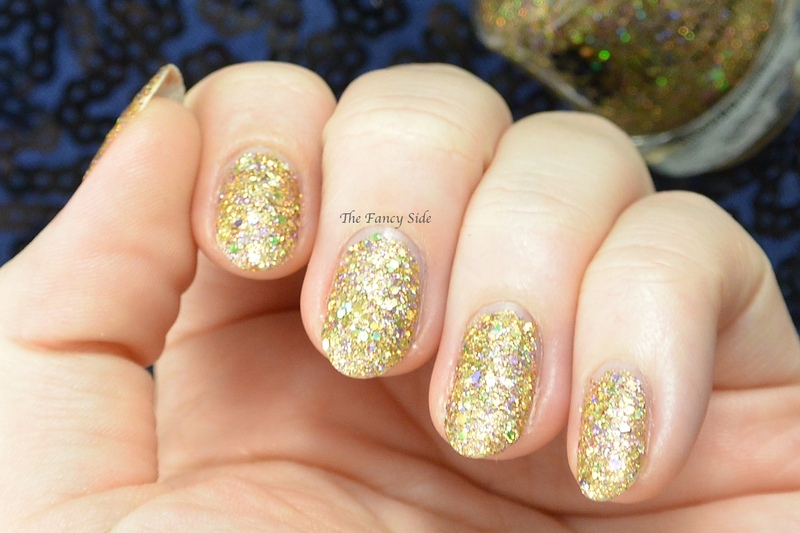 I'm bringing back a special reappearance of #TexturedTuesday to show you KBShimmer's Dressed to Gild! DtoG is from the Holiday Collection. 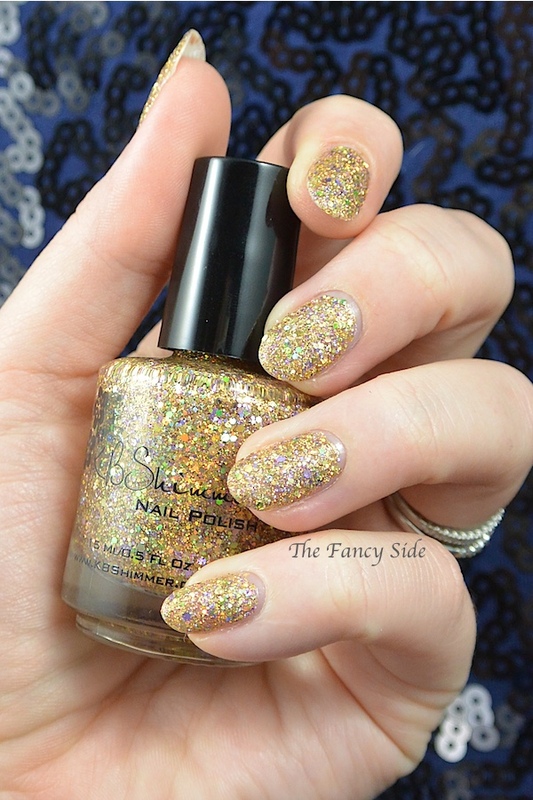 It is a sumptuous textured gold filled with hints of purple and green holographic glitters to spice it up! This is 2 easy coats. Don't forget to leave plenty of dry time between each coat on textured polishes. 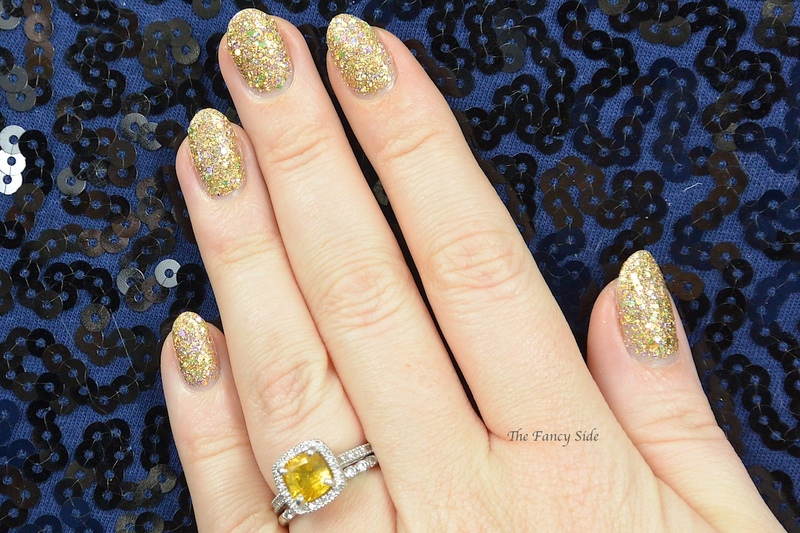 I so totally love this polish! It's the right amount of fun and funky that is perfect for the holidays! !